Economy Spill Kit - Saltex Inc. 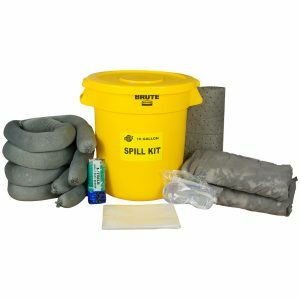 The Economy Spill Kit is available in multiple options for absorbing oil, universal or hazardous spills. These kits include 1 Clear Vinyl Bag, 10 pieces of 15″ x 18″ pads, 2 pieces of 3″ x 48″ Socks, 1 pair of Blue Nitrile Gloves and 1 Disposal Bag.